Wed developers are consultants whose job is to program web-based applications. The job is in high demand because of the high number of apps on devices like smartphones and tablets. These professionals can work for government agencies, startups, or large corporations, but many are consultants who work from home. Parents who are freelance web developers can pick their projects and establish their schedule. The average pay for this profession is $66,130, but the highest 10% make over $119,550 while the lowest 10% earn below $35,390. A web writer is a professional who comes with online content for a firm. This job takes various forms like offering content for a company’s website or writing articles for an online journal. Some writers have blogs where they write about topics they love. However, a blog takes time to generate income. Consulting as a web writer provides flexible schedules for parents who need to have more time for their family. The average salary is $61, 240, but the top 10% make over $118,640 while the lowest 10% earn below $29, 380. The job requires a bachelor’s degree in communications, English, journalism, or a similar field, and some experience in writing. A graphic designer is a professional who designs company logos, brochures, and more. As a freelance graphic designer, you get to work from the comfort of your house, set your schedule, and have plenty of time to spend with your family. This is one of the best types of consulting careers for creative people since it does not require major qualifications to start. Tax accountants are people who prepare tax reports and returns for clients. As a tax accountant, you need to be updated with tax regulations and issues. While they can work for corporations and government agencies, they can also consult from home. This gives parents the chance to plan their schedules and pick their clients. You can also prefer to work more hours during the tax season so that you can have more free time during other times of the year. Tax accountants earn $68,150 on average, but the top 10% make over $120, 910 while the bottom 10% make less than $42, 410. A dietician advises customers regarding their diet or what to serve others to achieve a particular health goal or keep a healthy lifestyle. Due to high rates of obesity, job growth for these professionals is on the rise, making it one the best types of consulting careers. A dietician may consult for a school, a healthcare facility, or individual clients. They can work for one organization or be a consultant and work according to their schedules. On average, they earn $58, 920, but the top 10% make over $82, 410 while the bottom 10% make below $36, 470. Many formal employments fail to offer flexible working hours that can enable a parent to be available for their family. But these five consulting careers will give you flexible working schedules so that you can make a decent income and be there for your family. Probably the most crucial task you will ever experience in your whole life is being a parent. There are tons of things you need to take into consideration as well as sacrifice in order to provide all the needs of your children. You have to be prepared being a parent, for it will never be an easy feat. Parenting can be tough, but it is totally priceless. Nothing beats being able to raise your own children properly and seeing them grow and make their dreams happen. This is why you need to be present at all times and your guidance matters most. Keep in mind that the number one supporter of your children is you. In each endeavor they are going to face, you have to support and guide them. Always show your children that you are with them every step of the way. In case they want to pursue a certain course in college, you need to give your full support. It is one of the most critical things they look forward to when making decisions about their future, so better be there for them no matter what happens. This way, they can feel your love and that you believe in them. When your children are already in college, you have to make it a point to communicate with them. In most cases, this is the stage when they leave home and start living alone. It is the time they finally learn to become independent individuals, but it is still necessary that you keep an open communication. Be sure to talk to them from time to time and update one another about everything. This helps them boost their confidence and assures them that you are by their side despite the distance. 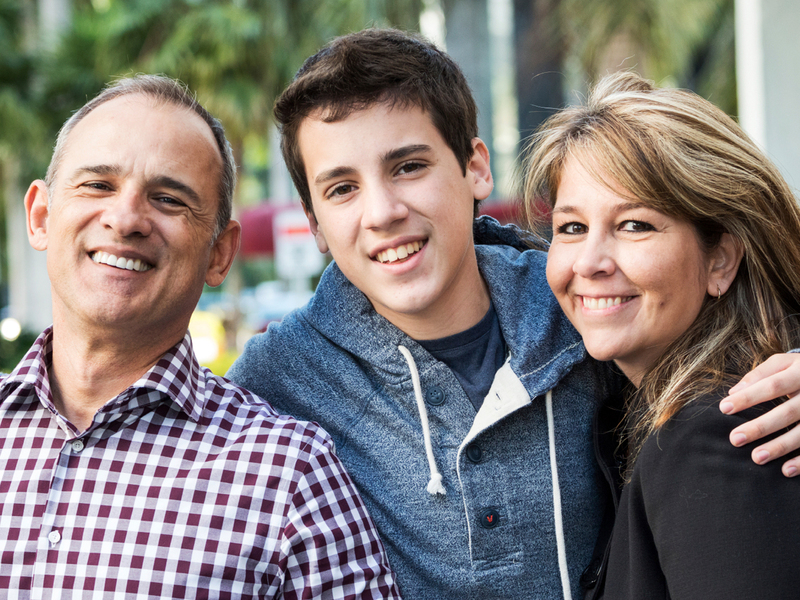 Every parent knows how stressful and frustrating college can be. There are a lot of challenges that your children will face during this stage, so be patient. You will see them change at some point, but try to understand them because you have experienced this as well. You know how demanding some professors in college are. Instead of stressing them out and putting more pressure on them, it is better if you just encourage them to do their best all the time. Be willing to help them out whenever they encounter problems to make them feel that you care for them. Without a doubt, parenting your children in college is tough. There is no shortcut in learning these things, but you are sure to nail it if you put your heart to it. Simply follow these things specified above and you will be on the right track. Also, do check out the IB schools in Singapore for high-quality education perfect for your children. It’s normal to be upset by the prospect of losing somebody you love. everybody feels that way. Still, especially when illness or addiction is involved, the lack of social structures to help with the long, drawn-out period when death is on its way can make things very difficult. If you’re going through something like this it’s important to know how to take care of yourself and make things as easy as possible for all involved. In situations like this, the grieving process can start before your loved one dies. It’s subtly different for each individual and can involve confusing feelings like anger, fear and guilt (even if you know you’ve done nothing wrong). Some people are unnerved because they don’t seem to feel much of anything. It’s important to remember that there are no obligations and that your emotions will sort themselves out in time. In the meantime you need to be patient and try to manage them so that they don’t interfere with your relationship with the dying person. When death occurs in a slow, natural way, it usually involves the dying person becoming more withdrawn. Don’t take this as a rejection and be careful not to crowd or overwhelm the person, who will gradually need more sleep. Don’t push them to eat or drink more – just ask what small things you might do to make them happy. If they want company, they may be content simply to hold your hand and not have the energy to interact more. The chances are that you and others who are close to the dying person will have things you feel it’s important to say before death happens. Now is the time to make your confessions and express your feelings so that you’re not left burdened with regret – but remember that the dying person may not have the energy to react much. Don’t make it all about you – take the time to listen to what they feel it’s important to say as well. 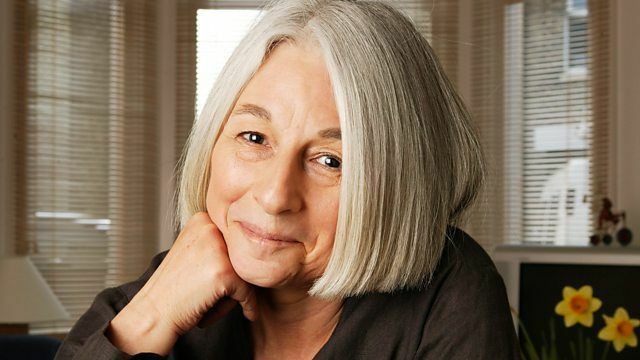 Towards the end, if the dying person feels up to it, it can be good to take photographs, record them speaking or make videos together so that you will have things to help you remember. Be understanding if they don’t want to do all of this and would prefer to be remembered as they were when stronger. Ask them which memories they most treasure and would like you to preserve. It might sound grim, but making a practical plan together to take care of funeral arrangements can actually set everyone’s minds at ease. Whether there’s going to be a burial, a cremation or something else, the dying person may feel comforted by knowing what the next stage of the physical journey will be, and you will have reassurance that you’re respecting their wishes. Death is never easy and nothing you can do will make it so, but sharing moments of emotional intimacy towards the end can help you to adjust. Take time to reflect on all the ways that your loved one’s influence will continue to affect the world, and remember that you’re part of that legacy. Tarot reading can transform your life in more ways than one. But before you can benefit from this means of divination, you will have to seek out a genuine tarot reader who can help you come into contact with your higher self and gain perception in life. A deck of tarot cards holds no power by itself. It is the skill of the reader that comes into play during a psychic reading session. As such, it is essential that you find out an honest and sincere tarot reader who is also gifted enough to guide you in your psychic reading endeavors. Outlined below are a few essential tips that will help you to make a selection of a reliable tarot card reader. Knowing what type of reading you want is the first step of finding a genuine tarot card reader. 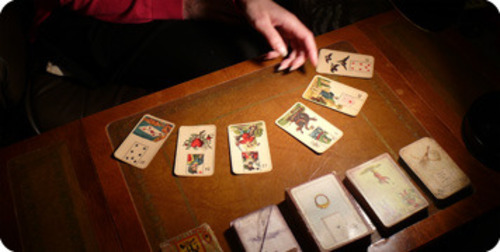 It is important to note that not all tarot card readers indulge in all types of readings. Some may concentrate on reading about your love life while others may help you gain insights about your career or enable you to deal with a tragic incident in your life. Depending on your need, you will have to carry out your search. It won’t help your cause if you fix up an appointment with a reader to find a solution for your financial upheavals and then realize that the reader only works to interpret dreams or is an expert in finding the perfect match. So, check before you step ahead. A tarot reader’s name says a lot about the individual’s abilities. So, consider the name carefully. You may dismiss it as a not-so-important point while looking for a psychic reader. But the fact is that wonderful tarot readers have normal names. The more fancy or outlandish a name, the more is the possibility of the person to turn out to be a fake reader. Even when a good reader uses a pseudonym, it is generally one that is more commonplace than weird or strange. A reader who demands an exorbitant price doesn’t necessarily guarantee the best reading. In fact, too expensive a price can be a sign of a shoddy reader whose interest is more in fleecing the divination seekers than in offering them genuine help and resolving their queries. Also, too less a price can be an indication of inexperience or even desperation on part of the reader. A genuine reader may command a good price, but it won’t be a sky-high one. Your clue is to look for someone who offers the service at an affordable rate. Too much or too less and you will be better off to steer clear of them. When you go to try a psychic reading and the reader promises to deliver instant solutions for your problems, know that you are at the wrong place. No genuine tarot reader will make crazy promises. Any tarot reader who claims to possess the ability to resolve your problems immediately is not worth your trust, time, or money. Tarot readers are mediums that can help you to gain insight into your life or enable you to attain a new perspective. But they are not likely to have the ability to remove your worries through any kind of products, potions, or spells, and that too within a short period of time. If they insist that you buy a certain product or spell to overcome your problems or adversities, know that it is time to move out of that place and start looking for another reader. If a tarot reader works great for your best friend or relative, it’s not necessary that you will also get the same vibes or results from that person. You will have to look for someone who is the right match for you and resonates with you at some deep level. Of course, you can consider the references of your near and dear ones regarding the readers that they found to be the best. But do not go thinking that the same reader will be the perfect one for you as well. Interact with the reader personally before you take a call. Also, if something doesn’t feel right or your gut feeling says that things are not going the way they should, do not hesitate to trust your instinct and leave the place. There is no doubt that moving your family into a new home is a fabulous time. The sheer excitement that you all feel at exploring somewhere new is amazing. When you add in the ability to make it your own with stunning interior design ideas, it is something that you will all love. However, this does not mean that there won’t be any challenges to face along the way! At first, you may all feel a little unsettled. This can be especially true for any children you have who might find being somewhere new strange at the beginning. Children are very sensitive to change, so do not worry if this does happen – it is pretty common. When you think that you have all left behind your old house and familiar places for somewhere new, it is understandable. By far the best way to make the whole experience as positive as possible is by settling everyone in as quickly as you can. How can you get your family settled in the new home? 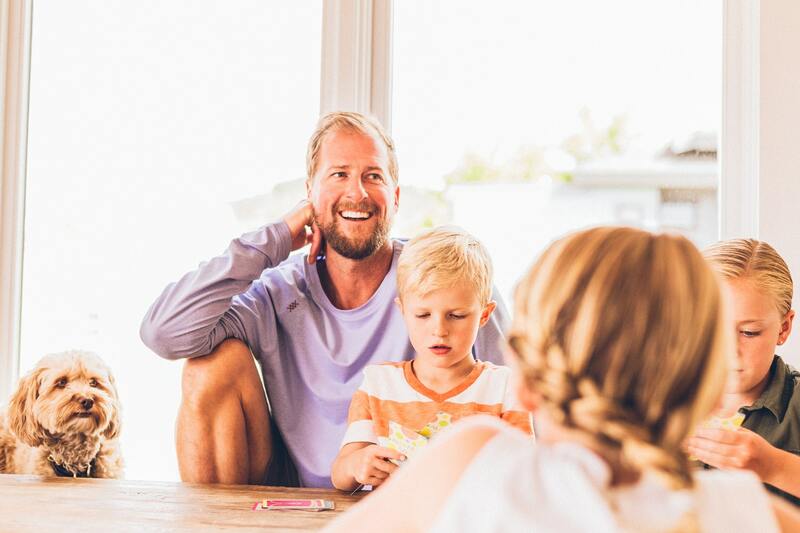 Sort out the children’s room first – a lot of what you will do around settling into the new home will involve your kids. The basic idea is that if they are happy, then you will also be happy! With this in mind, make sure to sort out their rooms first when you move in. Help them unpack and get all their familiar toys or photos where they want them. Take the time to make up their bed and spend time in the room with them so that they feel happy there. Use familiar sights and sounds – another great tip that the whole family will love is bringing familiar sounds and sights into the new home. Maybe you have a much-loved picture that always hangs in the hallway or a cuckoo clock that always goes off at certain times. Bringing these into the new home will really go a long way to settling you all down. Get some family photos up – as well as familiar objects or pictures, make sure to put up some family photos in your new place. Doing this will really make it feel like home and will give the whole place a feeling of warmth and stability. Kids in particular will appreciate this. Settle family pets in – most families will be moving with a much-loved pet, such as a cat or dog. These often play a central role in family life and can help a lot in settling you all into your new house. Of course, moving can also be stressful for them with new sights and sounds to take in! Make sure to let them explore the new family home so that they feel okay with it, and set up their own space as it was in the old home. Get to know your neighbors – once you have done the essential tasks of unpacking and settling into the house itself, you need to venture into your local neighborhood. Meeting your new neighbors is a great way to feel more at home and to settle down into normal family life. You should also take a walk around the local area together so that you all feel at home there and know where everything is. 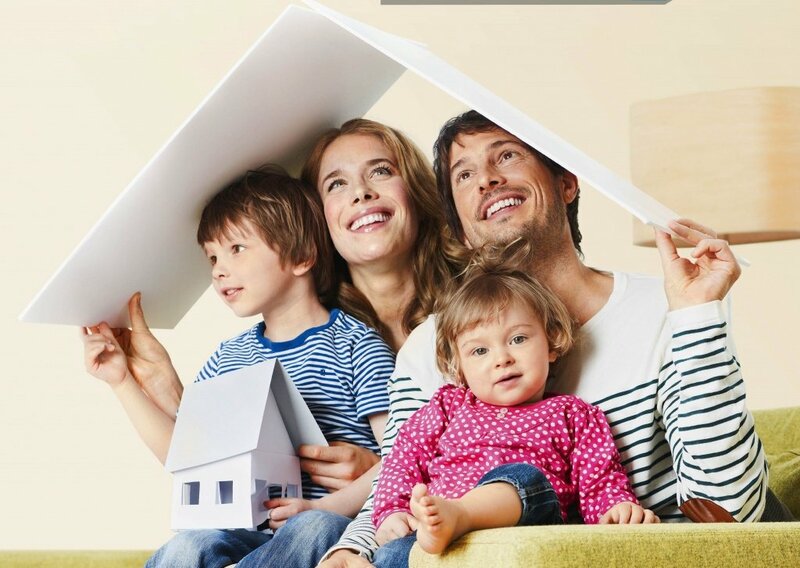 Another great tip for settling into a new family home is to take out a home warranty plan on it. These plans help to give you peace of mind that any repairs needed to appliances or systems in the property are covered. They will not only help you relax into your new place more but also feel confident that no unforeseen circumstances could see you have to move out. There are lots of home warranty companies out there now, so make sure to check online customer reviews to find the best. Moving home and getting unpacked the other end takes time – there is simply no getting around it. It is, however, worth doing it and getting the whole family settled after as soon as you can. This will allow you all to get back to your normal life and daily routines. It will also help everyone feel happy in the new place and begin to put down roots there. The Riviera Maya is one of the famous spots in Mexico. Picture perfect white sandy beaches and turquoise water make the Riviera Maya a popular destination for lakhs of tourists every year. There are a vast range of fun activities and places to watch in this gorgeous white sand beach paradise. If you love to spend, some quality time in soft sand beaches means the Riviera Maya is the perfect place for you. This beautiful place is a Caribbean coastline on Mexico’s northeastern peninsula. Riviera Maya is also known for its luxurious Mayan Riviera properties in its favorite town places such as Playa Del Carmen, Tulum and through its long white sand beaches. If you are striving to make your trip, as an unforgettable trip with your family, then don’t worry I’ve got you covered. In this post, I have included ten best things you must do when you stay in the Riviera Maya with your family. The first and best to experience in this Riviera Maya is its white sand beaches. So, sit back and Relax in the beautiful beaches. Although this place has some incredible places to watch and excellent fun activities to do, it is also a fabulous place to sit back and relax on the beach. Most of the travelers always love to do sunbathing in this place. As this is one of the most beautiful coastlines in the world, people love to spend some quality time in Riviera Maya beaches. If you feel like you need a drink while you sit back and relax then your favorite beverages and cocktails are always at your services in Riviera Maya. So, to enjoy your vacation hop on a beachside hammock and spend time while sipping the cocktail. This is the best place for families; they will always love this experience when you make them feel that they truly deserved this vacation just by arranging hammocks and cocktails on the beach. Kids will still enjoy playing in the clearest waters and pristine powdery beaches. It’s always best to start your trip with a fabulous night party in Playa Del Carmen. This place is popularly known for its nightlife; the vibrant and fun-filled parties are ubiquitous in this region. You can even enjoy the nightlife in the neighboring town Cancun as well. Usually, the nightlife in the Playa Del Carmen starts at the beach and on Fifth Avenue. You can find the other smaller parties quickly on the surroundings of the Del Carmen beach. In these parties, you can enjoy some excellent cuisine & Cocktails on the night hotspot. Along with these hotspots, you can also find some dancing night parties and clubs through the town coastline. The biggest night attractions that I have experienced in the night hotspots is the flamboyant coco bongo. Here the entertainments are at peaks when compared to the other musical event and parties. Watch out for these parties and then try different things to do from your next day of the trip. Usually, the nightlife of the Playa Del Carmen will start quite late so better take a light nap and head over to the party place around 11 and 11:30 Pm. 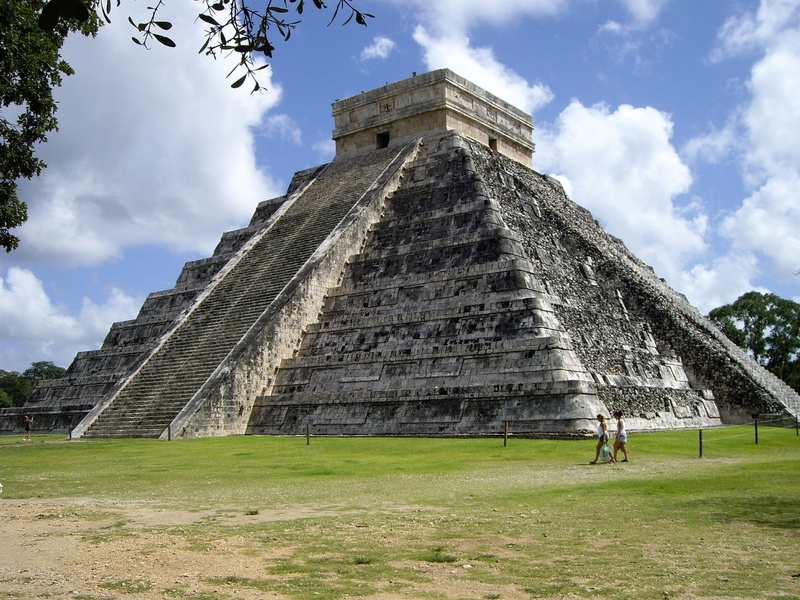 If you like to visit the monuments in the Riviera Maya, then have a glance at the Chichen Itza. It is often hailed as one of the seven wonders of the new world, and they always believe that it is the second most popular attraction in Mexico. This extraordinary cultural monument is located between the Valladolid and Merida. It is similar to the pyramids in shape, and it is one of the best stone monument you’ll see in Mexico. Here you can see the astronomy and the beginning of the 365 days calendar. Along with that, the serpent-shaped shadow is always visible at the temple of Kukulkan during the spring season. 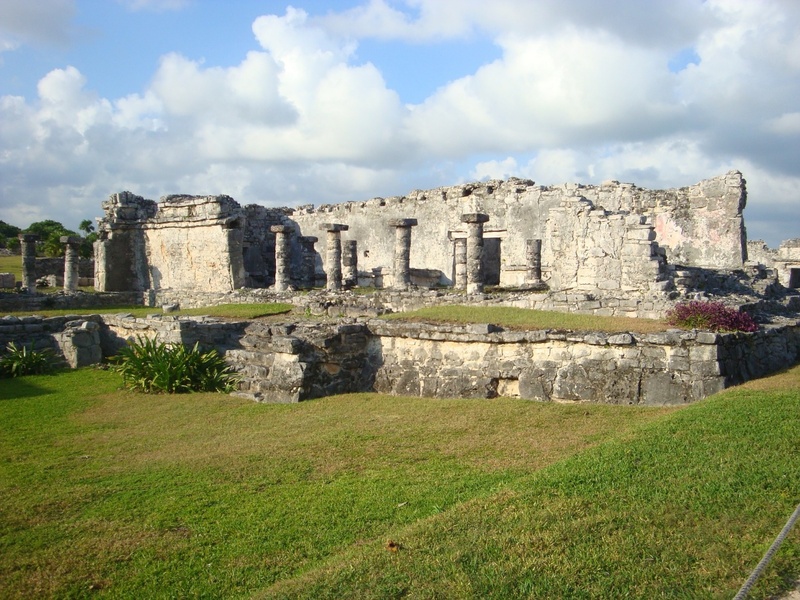 Families love to visit this place to know about the Mayans astronomy and another factor. If you are ready to attend Chichen Itza means, make sure you pack comfortable shoes, as there will be plenty of water in the site. Get ready to meet the spectacular sea life on the world’s second largest reef system in Riviera Maya. The coastal free of great Maya extends over 600 miles from the top of the peninsula and down to the Honduran. This is the best part for snorkeling in the whole of America. Americans love to visit this place for scuba diving and snorkeling. The crystal clear water and warm ocean will make them feel awesome along with that, they like to see wide varieties of coral, tropical and other sea creatures while they snorkel or go scuba diving. This best place to scuba dive in Riviera Maya is at the beach of Akumal; here you can find send the time by floating on the warm water and by having a glance at the tropical fishes and sea creatures very closely. If you already have the open water qualification or certificate of scuba diving, then you can explore more by going deep into the ocean. You can even meet the whales and other larger sea creatures while you do deep scuba diving. If you are lucky, means you can also have a glance at the shark and other rare Caribbean sea creatures. Cenotes are generally the large natural sinkholes. Usually, the cenotes are very rare, but luckily, Riviera Maya has Cenotes. These are iconic features of the peninsula’s geography as well. Previously in Mayan times, they often used these cenotes for fresh water supplies and for other religious ceremonies (As shown in Thor & Mona movies). Nowadays, the tourist to snorkel, swim and relax in a unique space uses these cenotes. In Riviera Maya, most of the cenotes are filled with the fresh water, and it is filtered slowly through the ground, so the water in cenotes is always fresh, pure and clean. As the water visibility is high in these cenotes, it is becoming the ideal place for scuba divers and snorkelers. If you are visiting Riviera, Maya means you shouldn’t miss this excellent experience. Kids and families always love to enjoy these fun activities in the water. Tulum is another picture perfect place in the Riviera Maya. This place is having its own Mayan history and the waters in the Tulum are fresh and clean. This small site can be quickly explored within an hour or two. It is one of the only Mayan ruins, which is located right at the oceanfront. This place offers some spectacular view of the ocean, and it is the best place to swim. If you are striving to visit Riviera Maya with your family means, “Never miss this spot” because this is one of the lovely and romantic spots. If you like to watch the beautiful destinations in Riviera Maya means you shouldn’t miss the Sian ka’an biosphere. It is the must-see place you and you should add this place to your list. This place is having an incredible sight of numerous animals. You can mainly watch sea creatures such as sea turtles, mantas, dolphins, manatees, and the countless other sea species. The best part of this place is you can see the all the sea creatures without diving deep into the ocean. Kids usually love this spot, so if you have kids, then you shouldn’t miss this place at all. 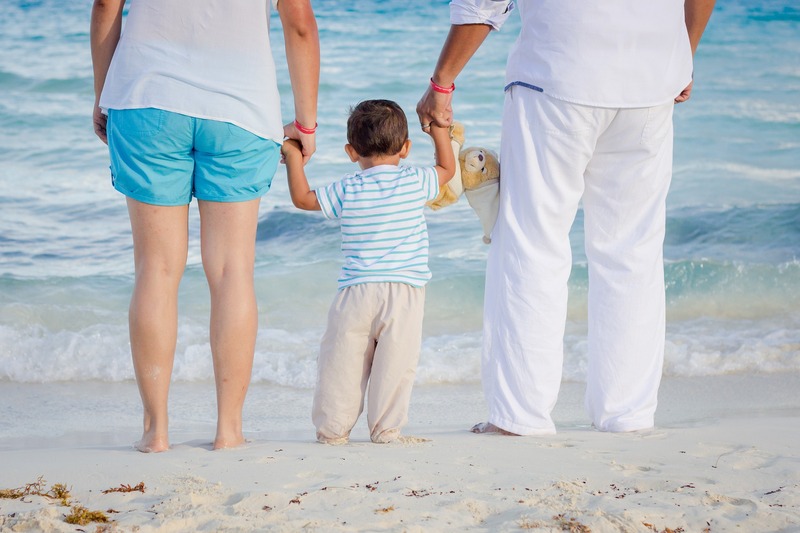 These are the best things you have to do in Riviera Maya when you are travelling with your kids and family. Families often love to visit these places in Riviera Maya because it gives you an incredible experience. Did you know that environmental toxins can cause cancer? These toxins are both natural and manmade that are equally capable of disrupting your health and sensitive biological functions. In this article, we will discuss the potentially dangerous effects of these environmental pollutants, and how to minimize its exposure so that you and your family can remain healthy. But before we do that, let us discuss what environment and man made toxins really are. The naturally occurring toxins include – lead, mercury, cadmium, radon, and benzene. There are also manmade chemicals such as BPA, pesticides, and phthalates. We all know the lead that is found in old paints as well as pipes installed in old structures is toxic. Mercury and cadmium are also well known toxins that cause damaging effects to our bodies. While these environmental toxins are recognized, there also others out there that are readily available in the environment and remain unregulated. We will discuss these popular toxins that you are exposed to on a daily basis and how you can reduce your exposure to them. This endocrine disruptor is a compound that is commonly found in food packaging materials made of polycarbonate plastics and epoxy resins. They are even used in baby bottles, water supply lines, water bottles etc. When exposed to BPA, you are vulnerable to the risk of obesity, infertility, anxiety, hormonal imbalance, breast cancer, low testosterone, and prostate cancer. BPA exposure happens when the chemical is released from the plastic/resin product into food and drinks when the containers are washed or heated. Did you know that the highest consumers of BPA are infants and kids? According to a survey, 93% children above 6 years had significant levels of BPA in their urine! While this is certainly worrisome, the good news is that BPA can exit from the body quickly if you make some simple lifestyle changes. These chemicals are used in agriculture to kill or repel certain types of pests. However, these synthetic toxins seep into the soil and then into our foods. Since most food manufacturers use pesticides, people are exposed to small doses of these chemicals in their lives through their diet. According to research, the farmers that use pesticides in their agricultural practices have experienced increased instances of headaches, insomnia, neurological disorders, dizziness, and fatigue due to high exposure. In fact, there are also studies claiming that regular exposure to pesticides can increase your chances of Parkinson’s disease by 70%! Well, if toxins cause illness, is a question you had on mind, we hope you got the answer. This colorless chemical is used in building materials and manufacture of household items. It is also found naturally in the environment produced by organisms as part of their metabolic process. There are many government agencies that recognize formaldehyde as a carcinogen. 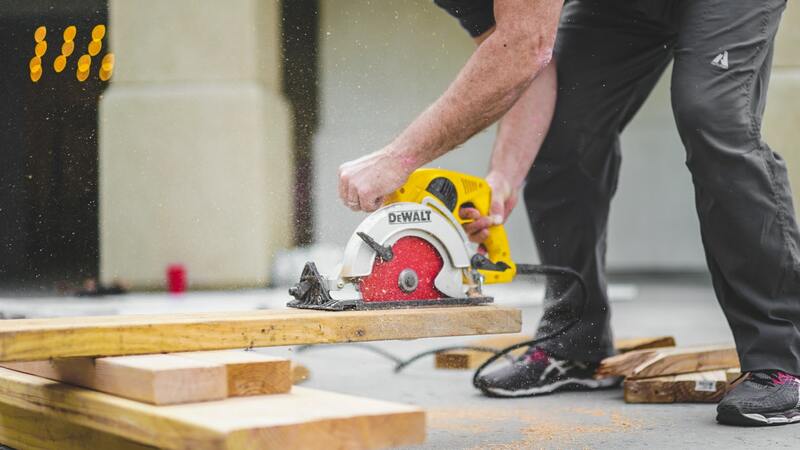 At your home, this toxic substance can be found in pressed-wood products such as plywood, and other products like glues, adhesive, cigarette smoke, certain types of fabric etc. Additionally, it is also used as a disinfectant, fungicide, and a preservative in medical laboratories. According to research, staff exposed to formaldehyde is susceptible to cancer and leukemia. While there are many more toxins out there that are exposing you to a health risk every day, these are some common ones that can be easily controlled by making conscious decisions. You can prevent a lot of toxin exposure by simply living a natural lifestyle and preventing the use of synthetic chemicals. When it comes to holiday packing, gone are the days when you would throw caution to the wind, pack a few clothes and toiletries in the bag and be gone. All of that changes with kids in tow as the concept of creating lists has never sounded so appealing! (Oh how life has changed). Along with that, common sense and creativity become key to both stress free packing and giving yourself the freedom to let your mind drift to all the holiday fun in front of you! Here are my top tips to help you concentrate on the fun rather than on the fuss! Simply spend half an hour writing down all the things you need to remember to bring. Put together a clothing, equipment, toiliteries, first aid, toys, documents and ‘additional’ list. Taking this time means a lot less stress. I really recommend an app called ‘Paperless Lite’ which allows you to create your lists and tick them off as they are packed! Consider the ‘actual’ holiday you want to achieve for you and your family. We can be bad at packing for every eventuality but be honest with yourself. Do you want to relax by the pool and just have time with your kids? What’s the point in bringing hiking boots and high heels in that case. Anything that you don’t really believe you will use, should not be packed. Young children love their toys and home routines, so they can be comforted while travelling (making your life easier) by having some favourite items from home at the ready. Let them help you choose two or three things they want to bring. Holidays are all about keeping things simple. It is where the idea of the capsule comes into it’s own. Items should be chosen based on the fact they can be worn in at least two ways. For kids, it can be useful to create outfits, which you pack together. Use ‘packing cubes’ so you can pack each childs outfits together. Do pack lots of denim, darker colour and long sleeved PJ’s (for those air conditioned evenings). Avoid too many light colours and delicate fabrics. I am a big beleiver in rolling clothes in the suitcase. You fit heaps more. Start by packing your shoes at the bottom and surround them with things like kids macs, underwear and other such items that creasing is not an issue for. This is also a great way to use this otherwise lost space. If you are packing anything remotely tailored, turn it inside out, tuck the sleeves in, roll and it will arrive in the best shape possible. Having a small backpack with all the essentials right there for the airport is a godsend. Snacks and games for the kids, all documents, itineraries, passports and tickets, any medication, plasters, painskillers, international adapter, water and an extra pair of clothes for kiddies accidents. It can be both fun and worthwhile to get your kids involved in the packing process. 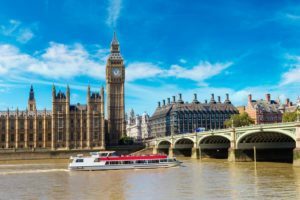 It builds their excitement for the trip and also helps to teach them the responsibility they share with Mum and Dad to mind their toys and bits and pieces. Ask them what they think they might need and let them pick out the toys, books and activities they want to enjoy while on the road. Perhaps about a week before you leave get them to help you pack either their own carry on bag or help to pack yours. Explore the Laya Healthcare site for more information on family travel insurance or to get a health insurance quote online today. A wedding anniversary is a special day for every couple and so for your parents. However, your parents may hesitate to celebrate their wedding anniversary on their own. So, it becomes the children’s responsibility to revive the love shared between their parents by doing something special on their wedding anniversary. So, if your parent’s marriage anniversary is around the corner and you are looking for some creative wedding anniversary gifts for parents, you are at the right place. Here are nine wedding anniversary gift ideas that are sure to make your parent’s anniversary a memorable one. 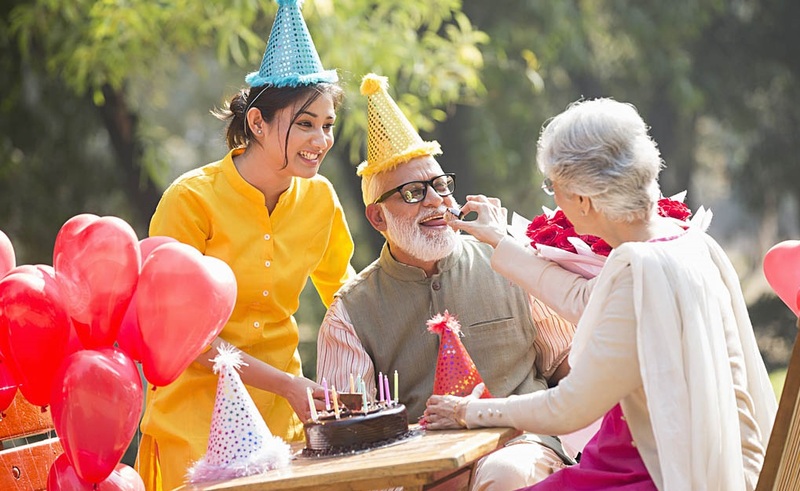 If you want to give your parents the gift of memory then, you can choose to give an anniversary album to them wherein you can put all the other old photos of your parents too. This gift will surely touch their hearts. Do you remember when did your parents went on a vacation last time? If the answer is a long time ago then, gift them tickets to a vacation so that they can relive the good old days again on their wedding anniversary. On your parent’s wedding anniversary, if you want to gift them something very meaningful then, it’s the health insurance of your parents or health vouchers for full body check up. This gift will be enough to convey all your love and care for them. The most special anniversary gift for your parents will be the one that can leave them surprised. And, that can be only possible if you give them a surprise wedding anniversary party. 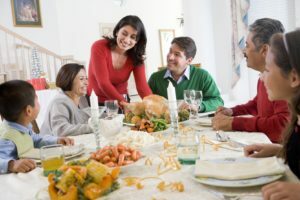 Yes, it is not easy to arrange a party but a little help from your loved one’s will make it possible. Flowers and cake, both are ideal anniversary gifts for any couple. So, if you stay miles apart from your parents and can’t make it home on their anniversary. You can send them bunch of beautiful flowers along with a delicious cake and make them feel special. If you are looking for an extra-special way of making your parent’s anniversary a happy one then, gift them a set of Mr. & Mrs. mugs. You can also customize a set of beautiful mugs with different quirky quotes or lines. Since you were born, your parents may not have go to watch a movie or go to a dinner because they were both busy in raising you. Now, that you’ve grown up, let them have some fun time. So,gifting movie tickets of a new release to your parents on their anniversary will be a great choice. Photos are a beautiful way of capturing the most beautiful moments of life that one can treasure forever. So, if you want to give your parents a treasurable gift then, give them a ‘then and now photo frame’ which will revive the bond of love shared between them. Let your parents raise a toast to their wedding anniversary celebration in the best way with personalised champagne glasses. Yes, engrave your parent’s name on two champagne glasses (one for each) and gift them on their anniversary to add more excitement to their celebrations. Now, it’s time to shop the best anniversary gift for your parents. So, make your choice wisely.